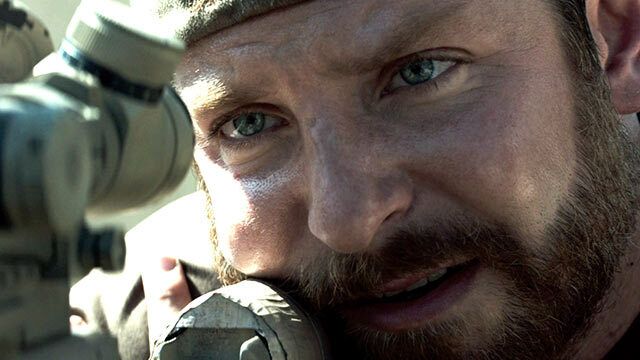 On the phone with a friend some months ago I talked about being keen to see American Sniper when I found out it was in production. I remembered Chris Kyle, the much touted “deadliest sniper in US military history”, doing the rounds of some talk shows a few years back and being a particularly odious, unreflective individual. When I read about the tragic irony of his death, I thought it would make an interesting movie and, with Eastwood at the film, a Rorschach test for the politics of those who saw it. American Sniper is, for me, not a particularly good film, and though it betrays a certain Conservatism, the back-and-forth we’re getting over its politics, especially after it’s huge box office opening, suggests there’s something to the Rorschach element. There are many good and nuanced arguments available on this topic, as well as a great many that are pretty dunderheaded from both sides. Much of it comes down to the issue of the morality of art: does it have a duty to condemn? There have been a number of media commentators as well as some critics who have talked about American Sniper finally being a movie freed from the liberal Hollywood machine that doesn’t bother to question the validity of the Iraq War and finally gives soldiers and veterans and whomever they deem to be “real Americans” the picture they’ve wanted, and no doubt that the box office bears this out. There are a lot of people who want to see this type of film, and the relative success last year of Lone Survivor and to a lesser extent the barely-actually-a-movie Act of Valor suggest this hasn’t come out of nowhere. Still, because it has given some viewers a patriotic validation doesn’t mean the film necessarily advocates for that position, and that’s central to the issue. There are, as I said, a myriad of ways in which a film can be propaganda. The aforementioned Green Berets is about as explicit as you can get without being full-tilt Triumph of the Will. An enormous number of Hollywood films during World War II were designed specifically to help the war effort. There are subtler ways, I’d argue, though they’re largely unconscious. The Transformers franchise is steeped in a kind of imperialist, pro-military, misogynist, consumerist Capitalist institutionalization that you can argue is propaganda without intending to be. They’re products of a specific cultural mindset that lacks the reflective desire to question itself and as such, gloriously promotes its perspective with flashy, “fun” and “exhilarating” visuals. Though the visual element isn’t there, the closest American Sniper gets to being any kind of propaganda comes from the lame script by Jason Hall, written when Kyle was still alive, that seeks to shoehorn his story into a traditional Hollywood narrative. A friend likened the film to John Ford’s They Were Expendable but the plot elements grafted onto Kyle’s story to make it a more thrilling movie with set goals pushes it into Sergeant York territory. Kyle is a supreme soldier, not just a great sniper, so much so that when (presumably) Hall figured that a guy sitting on a roof picking people off all day would get boring he had Kyle decide he was going to leave his post to knock down doors with the Marines, and then to teach the Marines a thing or two about the safest way to do their job, right before entering a house and beginning an interrogation of a beleaguered Iraqi father that leads to prime intelligence. It’s quite an afternoon, even for a Navy SEAL. When he gets close to catching his target – the absurdly evil “Butcher” who drills little boys to death before shooting the parents – he’s stifled by the invented antagonist/doppelganger Syrian Olympic sniper who runs through the film and was, incidentally, completely invented for it. In the finale, when he finally takes out his nemesis/mirror image (it’s laid on both pretty thick and not enough, as we get a brief moment of him saying goodbye to his wife and kid and that’s about it), it’s done in a slow motion shot that deviates from Eastwood’s largely functional and distanced economic style – possibly to celebrate the triumph, as the person who clapped in the theater saw it, and possibly to emphasize the personal resolution that it gave Kyle to finally leave and be a father and a husband (either way it’s unconvincing). The story elements of the military action play out like the dream of what every soldier wants to be, and that’s probably the most the film really falls into actively backing a Conservative perspective. There is, then, the continued, for lack of a better word, breakdown of Kyle himself. It’s never big or catastrophic, unless you count taking a shot and exposing the position of his men later on in the film, but it’s significant and is largely with what the second hour is concerned. The initial stages of the film see Kyle as everything you’d expect from a Texas Good Ol’ Boy: His father takes him hunting as a kid, he’s taught about “wolf, sheep, and sheepdogs” in a pretty harrowing scene with his father, he sees the terrorist attacks in Africa and is inspired to join the SEALs. When he first meets his future wife, Taya (Sienna Miller), she calls him self-centered and he quickly, earnestly, and a little defensively reacts with, “I would lay down my life for my country, how can I be self centered?” His exhortations that he wants to defend the greatest country in the world and prevent more attacks at home continue throughout the film, but as the tours take their toll it’s an open question how much the film really respects that hardwired ideology. He casually throws around the word “savages”, and though this film is seen through his narrow perspective and we don’t get much in the way of humanization of any Iraqis, friend or foe, Eastwood and especially Cooper never seem to consider it a healthy one. The big moment comes when his friend and fellow SEAL is killed shortly after he’s clearly left with doubts about the entire war, and after the fallen soldier’s mother reads a letter questioning why they’re there at his funeral, and Taya asks him about those thoughts afterwards, Kyle retorts “that letter got him killed.” It’s a defensive, angry moment, and Cooper plays it as such. The unquestioning, limited self-examination of Kyle probably makes him a great soldier, but that doesn’t mean he’s right or it can fully protect him from the possibility of creeping doubt. Cooper is the MVP of the film for the way he plays these moments, and it’s a credit to him that I don’t feel like I’m stretching when you can read his response of “that’s not me” to a psychologist asking if he has PTSD as posturing to some degree. He says he just wants to be back to protect Americans, but it’s seeing a child drilled and the endless gunfire and the endless death that plays out over the soundtrack when he’s staring at a blank TV in the depths of his alienation. None of this is particularly new, of course, and the harsh return to American life is done much better in The Hurt Locker, a film that revels in ambiguities. All of these moments don’t completely do away with the Conservative bent I feel it still has, but they’re crucial for differentiating it from rah-rah propaganda because they leave open a significant amount to interpretation. As someone who thinks that the notion of blindly following orders and killing people for the supposed “defense” of what someone unquestioningly believes to be “the greatest country in the world” is horrific in it’s denial of a basic humanity, I can see his perspective – that desperate obsession with seeing the world in the most simplistic terms because that’s the easiest to process – taking a psychological toll. For those who believe in that kind of thing, it probably looks like a vindication. Whatever you bring into the film will probably inform what you take out, and the fact that there’s enough to chew on for a number from a variety positions should at least dispel the notion that it’s a simplistic propaganda piece. None of this is to say it is a very good film, because I don’t think it is, but it’s not morally abhorrent. I don’t agree with a lot of it, but the film doesn’t overtly advocate that position in the way it has been made out to, and in the end does succeed in representing a widely held perspective, and I don’t think there’s anything wrong with a representation.